Interacting with a person with Alzheimer’s or dementia isn’t always easy. Sometimes, our usual conversational habits can unintentionally cause conflict. 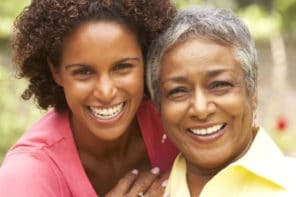 To help you have more positive and meaningful interactions, Caring.com shares expert techniques for how to start and continue successful conversations with someone with dementia. Keep these simple techniques in mind when talking to someone with Alzheimer’s or other forms of dementia. It’s so easy to become frustrated when talking to someone with dementia or Alzheimer’s. It’s hard to know the “right” way to respond to the repetitive or odd things he sometimes says. You won’t be tongue-tied if you keep these simple communication techniques in mind. When you want to start a conversation or ask a question, get the person’s attention in an obvious, direct way. Start by approaching him from the front and saying his name. This will help him focus on you and prevent catching him by surprise, which may set him on edge and make him less able to concentrate on the conversation. Someone who’s older may be somewhat deaf, and this direct approach also makes it easier for him to hear you. Slow down your usual speaking style a bit. Enunciate your words to be as clear as possible. Also stay conscious of giving the person plenty of time to think about what you’ve said and to reply. 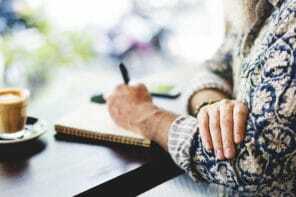 Many people have a tendency to rush in and fill a silence with more words, which often only serves to agitate someone with Alzheimer’s or other dementias. Another way you might need to alter your usual conversational style is to stick to common, plain words and short sentences whenever possible. (It’s like talking to a young child, though without using singsong baby talk.) Try to construct sentences that include only one main thought, ask only one question at a time, and give instructions one step at a time. If the person doesn’t understand something you’ve said, repeat it exactly the way you said it the first time; that will give him more opportunities to figure it out. If you’ve asked a question that’s not connecting, ask it again the same way. Do this within reason, of course – if two or three repetitions fail, try rewording the message in different, simpler terms. Words are only a part of the way that all humans communicate with one another. Facial expressions are especially important for someone who has trouble following a conversation and remembering what was just said. So try to face the person as much as possible, and look directly in his eyes. You can also signal that you’re friendly, interested, and approachable with physical cues such as your facial expression, gestures, and posture. Smile or look concerned as you talk to underscore your message. Point to the thing you’re talking about; for example, point to the kitchen as you say, “Lunch is ready.” Use other gestures such as shaking or cocking your head or raising your hands palms-up when asking a question. Beware of accidentally sending negative signals: a blank apathetic expression, brows knitted in frustration, crossing or folding your arms in front of you, and placing your hands on your hips. Giving a gentle, encouraging touch can help guide the person when you give him instructions or when you’re trying to direct his attention to something. Don’t underestimate the benefit of physical affection when you talk, from touching his knee lightly to rubbing his back or ending a conversation with a kiss. All these gestures can help keep him feeling relaxed and less frustrated. Your tone speaks louder than words, too. So try to keep your voice pleasant and inviting, not overly loud (unless deafness is a real issue). Be careful not to express anger or frustration – even when you’re reaching your limits. You can improve verbal exchanges in lots of casual ways. Stick to familiar, easy-to-understand topics, too. A person with Alzheimer’s or other forms of dementia is less likely to be confused if you talk about his favorite subjects or things he’s demonstrated he remembers or relates to well – the weather, what’s for lunch, the birds at the feeder, a ball game. Discussions that require abstract thinking or a great deal of concentration – politics and current events, for example – may prove too complicated. Expect to carry the conversation yourself. It’s not that the person doesn’t like to chat, but initiating talk can be too much for him now. Reduce background distractions, too. It’s easier to connect without the noise and commotion of a TV, radio, or crowd of people, for example. Inevitably the person you’re talking to will repeat the same conversation you just had a few minutes earlier. Above all, refrain from pointing this out. Memory lapses are a physical glitch beyond his control, and emphasizing his impairment is likely to make him feel embarrassed or frustrated. Instead, give simple, polite responses (even if they’re the same responses you just gave five minutes earlier). Alternately, if appropriate, redirect the conversation – but if he fixates on getting an answer from you, go ahead and give it. His insistence means the subject is important to him. An occasional prompt is OK if he’s having trouble finding the right word or remembering something – but tread lightly. Frequent corrections, correcting in a critical or patronizing manner, or showing your disappointment or frustration all eat away at his self-esteem. Responding in these ways just makes him less likely to want to open up and communicate. Use his reactions as your guide. You may just choose to limit corrections to times when it’s absolutely necessary. Humor is a vastly underrated way to keep the mood light and to encourage someone to open up. Don’t laugh at him, obviously, but make light of situations where it’s appropriate. Above all, have realistic expectations. Even early on in the disease process, someone with Alzheimer’s may occasionally use the wrong word, get confused, or forget what was said just a few minutes ago. Don’t let these slips rattle you. Such cognitive problems aren’t under his control, and probably already cause him considerable stress and frustration – he doesn’t need to see you upset as well. Realize that language problems are likely to increase over time. Your patience and understanding now will help cut down on the frustration and irritability these changes create in the person you care about – and protect him against withdrawing from social situations.